Yi-Kuan Lin’s artistic practice explores how individuals physically deal with the world. Her work features exquisitely detailed pen drawings on paper that depict muscles, organs, skin wrinkles, tree bark, leaf veins, and petal textures in a suffocating mass of forms. 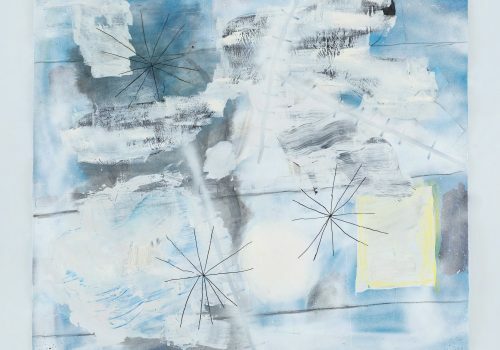 Her recent body of work documents the changing dynamic between the body and nature. Yi-Kuan Lin (born Tainan, Taiwan, 1981) graduated from the Department of Art Education at National Hualien Teacher College, Taiwan, 2004. 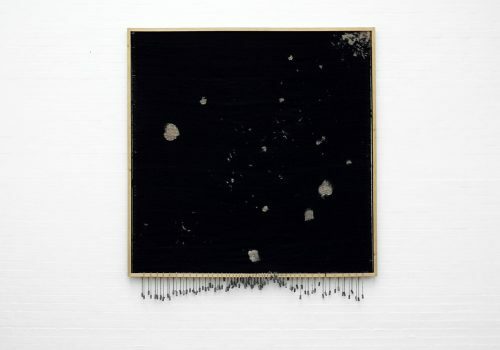 Her recent solo exhibitions include: The Thinking Tree in Meditation, Der-Horng Art Gallery, Tainan, 2015; Handscape, BF Gallery, Taipei, 2011; and Hand, Wu-Chi Art Studio/Blacksnail, Tainan, 2011. 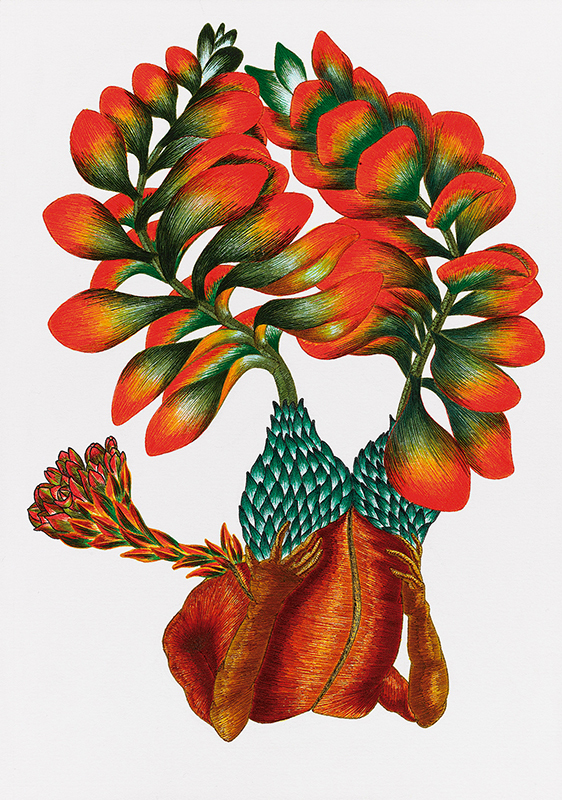 Yi-Kuan Lin, Destined to Encounter in Ten Thousand Years Ago, 2014, Drawing pen and watercolor on paper, 311/8 × 431/8 in. (78.99 × 109.47 cm). Yi-Kuan Lin, A Fish Swimming Comfortably Alongside the Algae, 2015, Drawing pen on paper, 61/2 × 95/16 in. (16.51 × 23.62 cm). 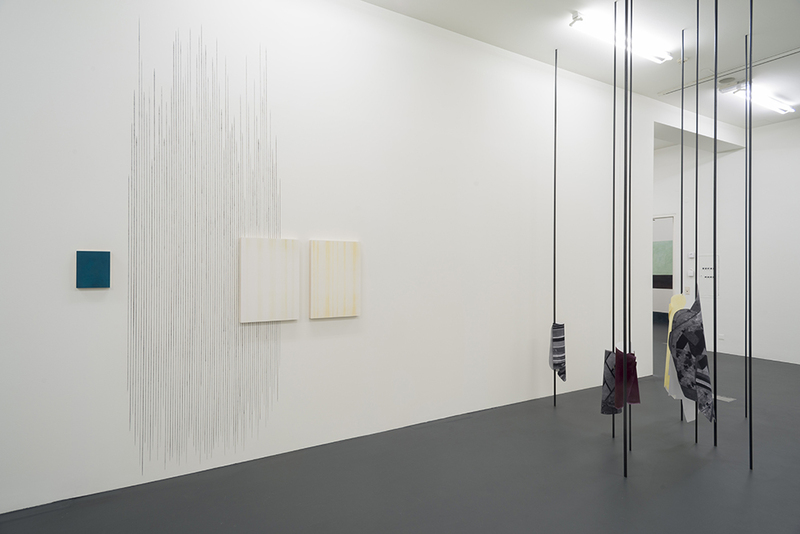 In her installations, films and works on paper, Sofie Thorsen deals with questions of space and architecture in urban space as well as the exhibition space itself. 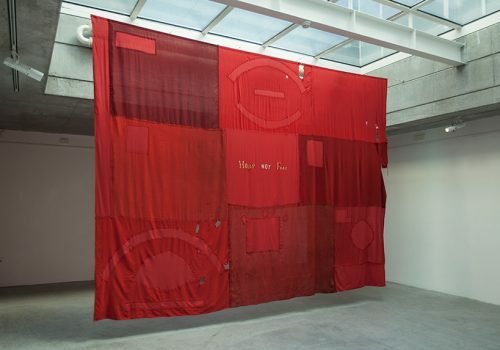 Where the starting point of her work is mostly research based or documentary, the images and materials that surface during research are reworked and developed into abstract objects and images that constitute the final work. 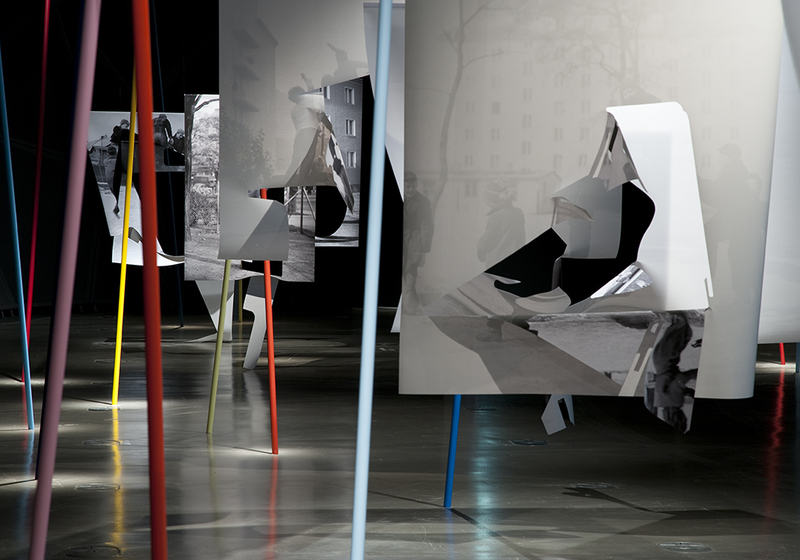 Sofie Thorsen, Play Sculptures, 2013, Dimensions variable. Photo by Hannes Böck. 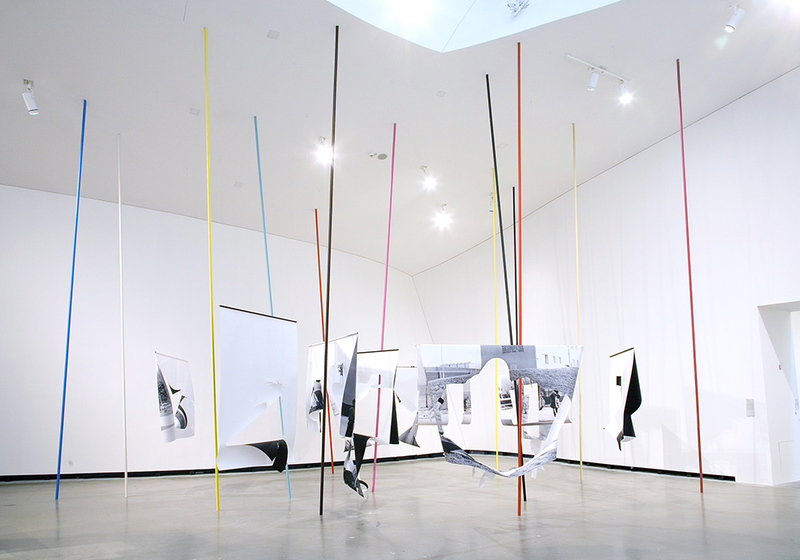 Sofie Thorsen, Play Sculptures, 2012, Dimensions variable. Photo by UMJ/ Nikolaus Lackner. 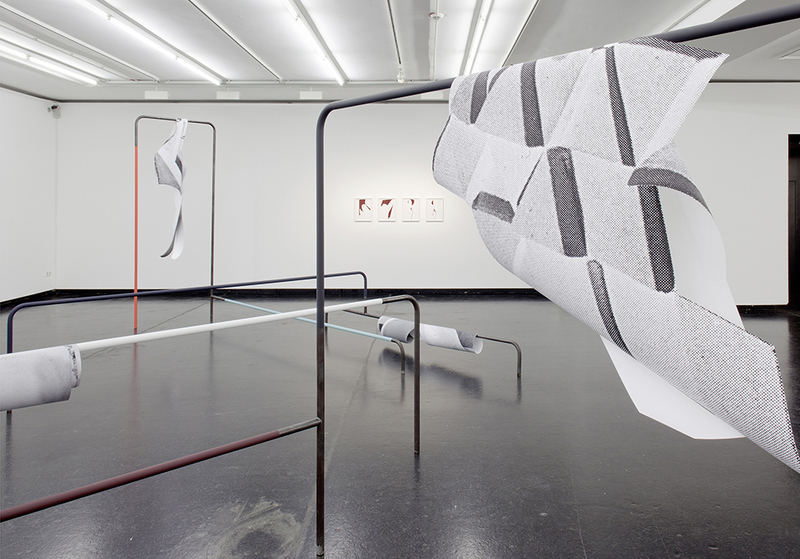 Sofie Thorsen, Whose Sleeves?, 2016, Dimensions variable. Photo by Hannes Böck. Joseph Buckley’s work is informed by grief and postcolonialism, manifesting in a range of forms including sculpture, video, and writing. Using a myriad of techniques, these themes are alternately reified or obfuscated–mobilized to rhyme or repel each other. 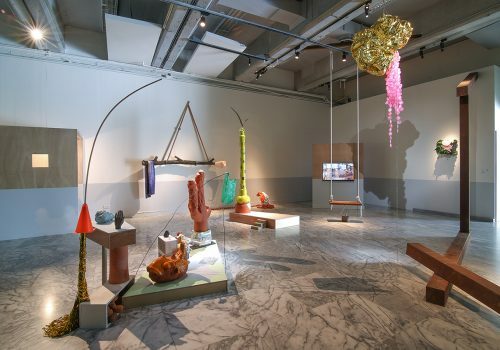 Central to his work is the use of “non-materials” (ideas, processes, people), manipulated in manners that mimic the archetypal languages and processes of sculpture. This lends itself to an ongoing critique and consideration of the mechanics of objectification, and the obverse of objectification: dehumanization. Buckley imports tropes and frameworks from science fiction and fantasy and appropriates aspects of these genres and canons in order to produce work that speaks, in a speculative vernacular, to real world conditions. Joseph Buckley (born 1990 in Ellesmere Port, England) studied at Leeds College of Art and Goldsmiths, University of London, graduating in 2010 and 2013 respectively. In 2013 he moved to the United States where he graduated from Yale School of Art in 2015. 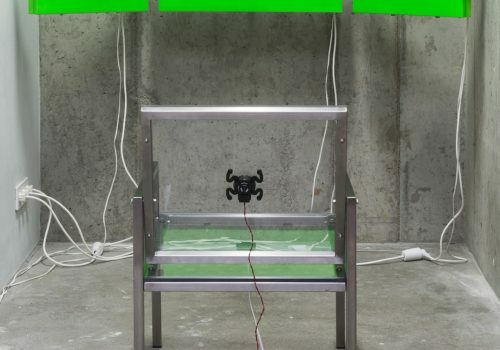 Recent solo presentations of work include Pervert’s Lament as part of Time Item: Sculpture Thesis 2015, Green Gallery, Yale School of Art; and One Sixth Of A Series Of Elegies: V, ? ?, & XVII: Retcon! Retcon! Retcon!, &Model Gallery, Leeds, England. 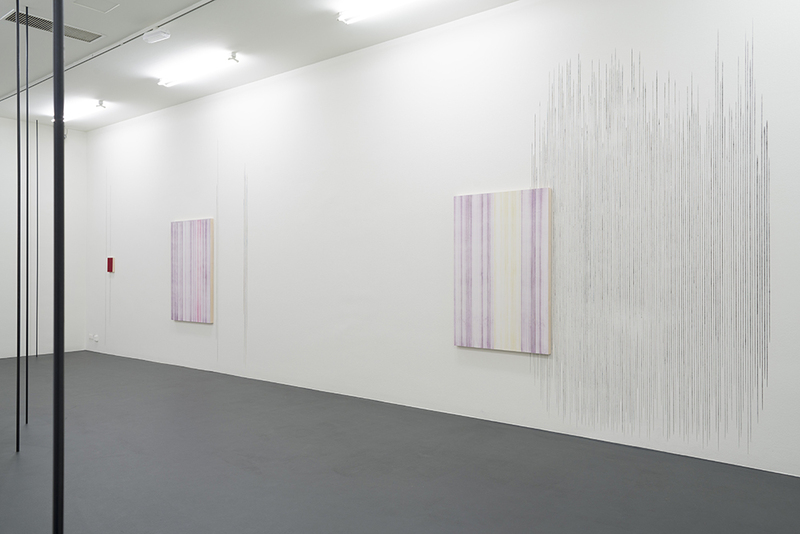 Recent group exhibitions include Wet Eyes, Meyohas, New York; Most Loathed, 3401 Lee Street, Los Angeles; and A Small Group Show of American and British Artists, Space Space Gallery, Tokyo. 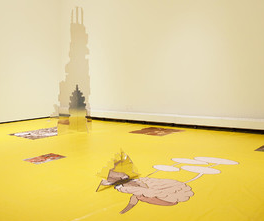 Joseph Buckley, Chrome Ruins, 2015, Mirrored self-adhesive vinyl and MDF, 66 × 120 × 40 in. (167.64 × 304.8 × 101.6 cm). Courtesy of the artist.